Sherrard & Roe, PLC is excited to announce its new name as it celebrates its 35th anniversary. 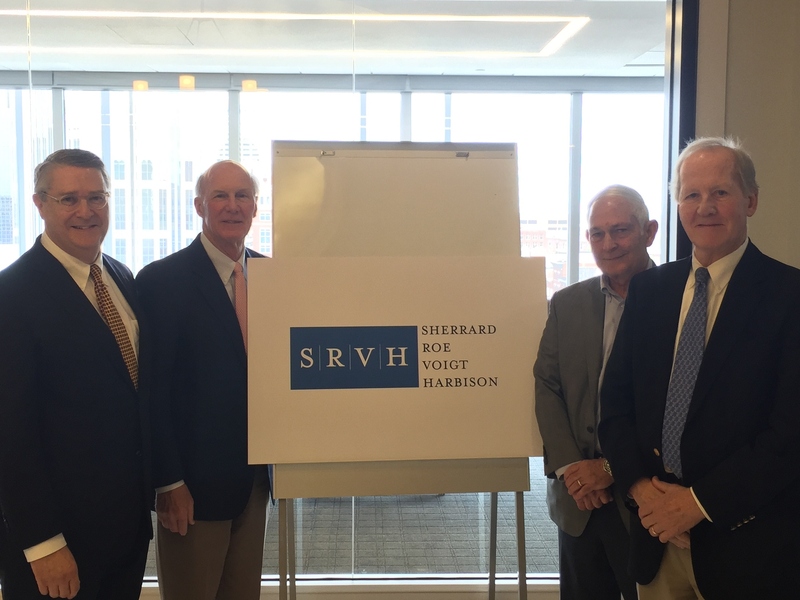 In recognition of the invaluable contributions of Partners John Voigt and Bill Harbison, the firm will now be named Sherrard Roe Voigt & Harbison, PLC. Both Mr. Voigt and Mr. Harbison joined the firm shortly after its founding and have played instrumental parts in the firm’s success and development to its position today as one of Nashville’s preeminent law firms. John Voigt has been practicing for more than thirty years, primarily representing health care providers and provider-owned businesses. Mr. Voigt is a past chairman of the Tennessee Bar Association’s Health Law Forum and member of the Executive Council of the Health Law Section of the Tennessee Bar Association. Mr. Voigt has an M.B.A. from Wharton Business School and received his J.D. from Emory University. Bill Harbison, who is the current President of the Tennessee Bar Association, is a litigator who works primarily in the areas of corporate law, trusts and estates. Mr. Harbison is a member of the Tennessee Supreme Court Board of Law Examiners, Fellow of the American Bar Foundation, and past president of the Nashville Bar Association. Mr. Harbison has been a part of numerous high-profile cases throughout the State and region, including recent representation of plaintiffs at the Supreme Court of the United States. Mr. Harbison received his J.D. from Harvard University. Sherrard Roe Voigt & Harbison, founded in 1981, provides legal services to businesses and individual clients in a wide variety of litigation and corporate practices. The firm is home to thirty-five attorneys and is located in the Pinnacle Building in downtown Nashville.